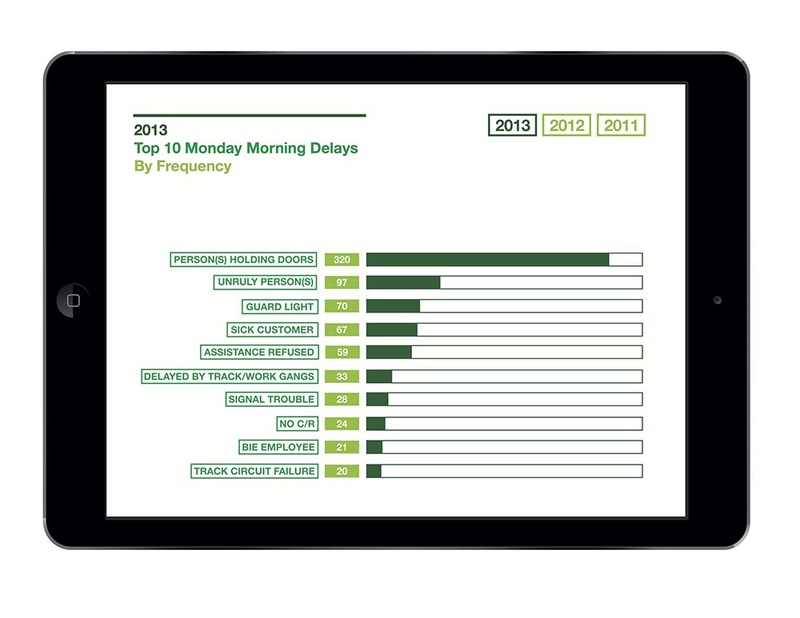 Brief Visualizing the top 10 Monday morning delays causes during rush hour. Challenges The MTA collects an array of detailed data on subway transit, but to date the organization has not found a way to utilize data visualization as part of their internal communications. Given that the MTA measures delays by a multitude of metrics, it's very hard to rank definitively which delays are better or worse. Solution Since results would differ given context and the board member, the solution avoided providing a definite ranking system and instead on providing a flexible one that allows him/her explore delays in a format of their choosing. 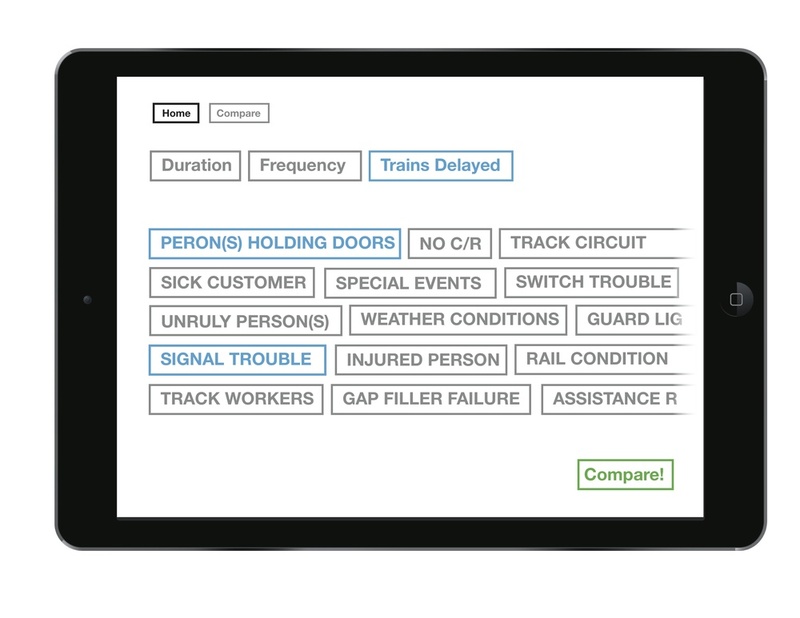 By breaking down delays by frequency, duration and trains impacted, the board members are able to view data through a lens within context for their conversations and meetings.